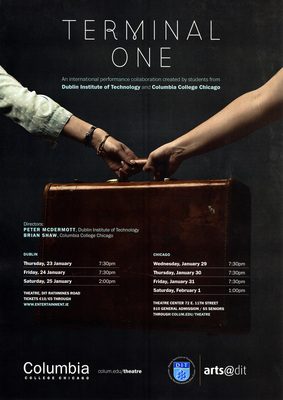 An international performance collaboration created by students from Dublin Institute of Technology and Columbia College Chicago. Performances held in Dublin, Ireland and Chicago, Illinois. Directed by Peter McDermott, Dublin Institute of Technology and Brian Shaw, Columbia College Chicago. Theatre Center.